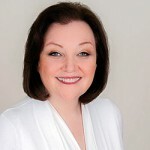 Adele Ryan McDowell, Ph.D., is a psychotherapist with 30+ years’ experience. Adele was the director of outpatient treatment at Liberation Clinic, a substance abuse clinic in Stamford, CT. She was also the founder/director of The Greenheart Center, a holistic, psychotherapeutic, and psycho-educational center in Stamford, Connecticut. Dr. McDowell’s work focuses on helping clients find hope, balance, and peace in the face of crisis, trauma, abuse, and grief. She has worked with suicide, domestic violence, and sexual assault crisis hotlines; survivors of Hurricane Katrina, 9/11, the Joplin Tornado, and the Newtown shooting; clients struggling with addiction and heartbreak as well as those moving through profound life changes such as grief and health challenges. Dr. McDowell is the author of Balancing Act: Reflections, Meditations, and Coping Strategies for Today’s Fast-Paced Whirl. 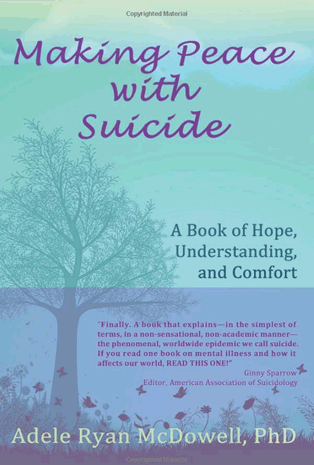 The suicide of a fellow psychologist led to the creation of her second book, Making Peace with Suicide: A Book of Hope, Understanding, and Comfort. Adele lives in Connecticut where she maintains a private practice. Listen to Adele talk about her motivation for this book. You can learn more about Adele, her writing, and her thinking at http://AdeleRyanMcDowell.com and http://AdeleandthePenguin.com.